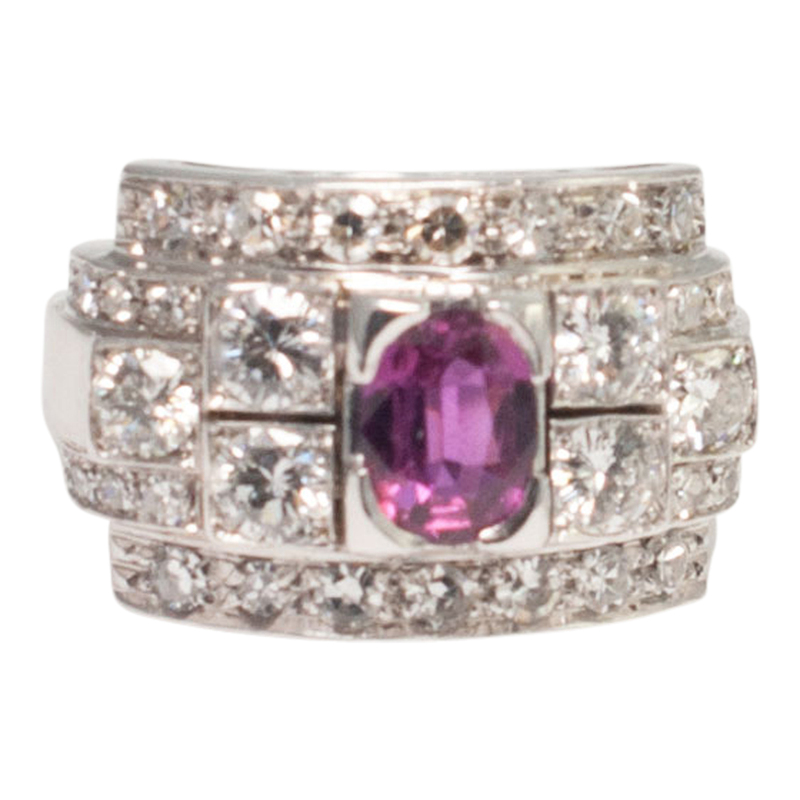 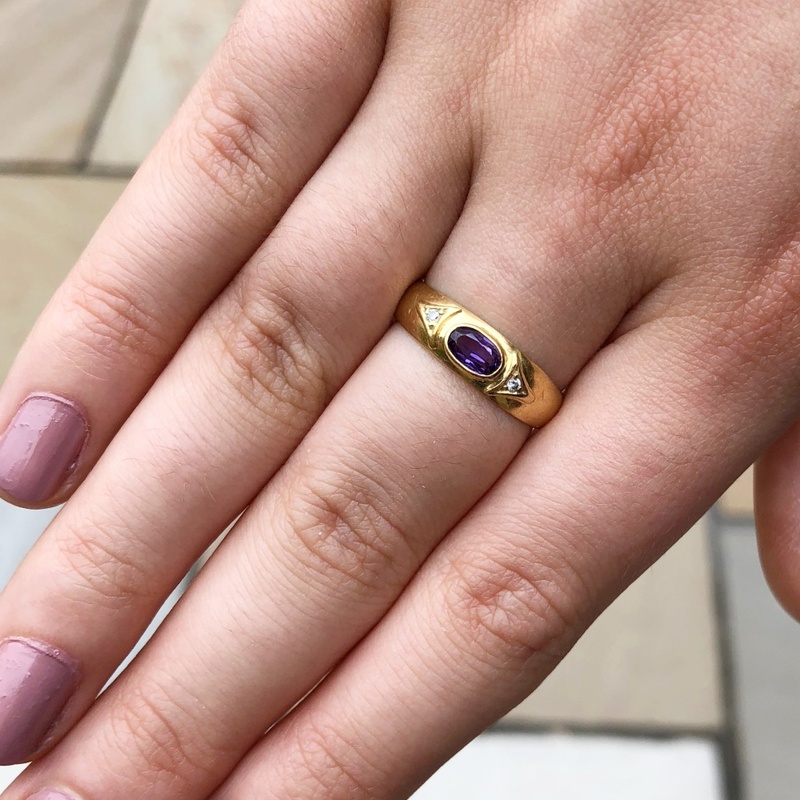 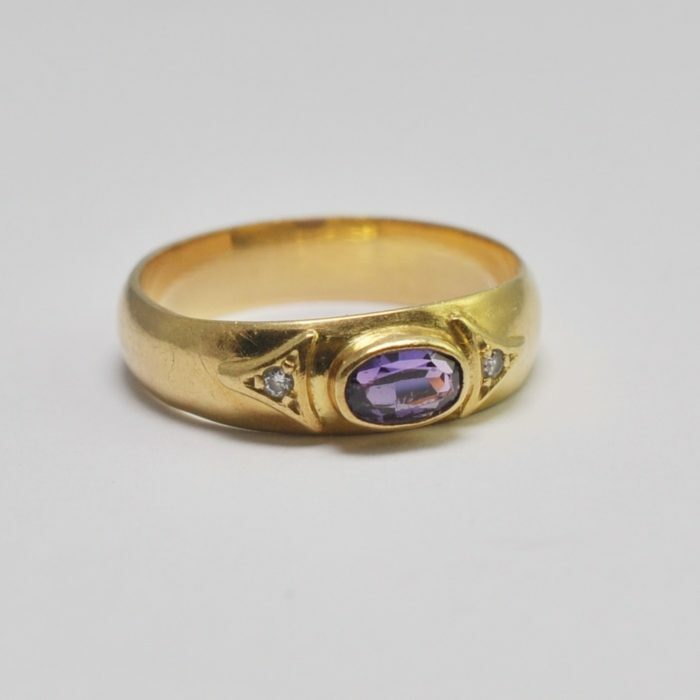 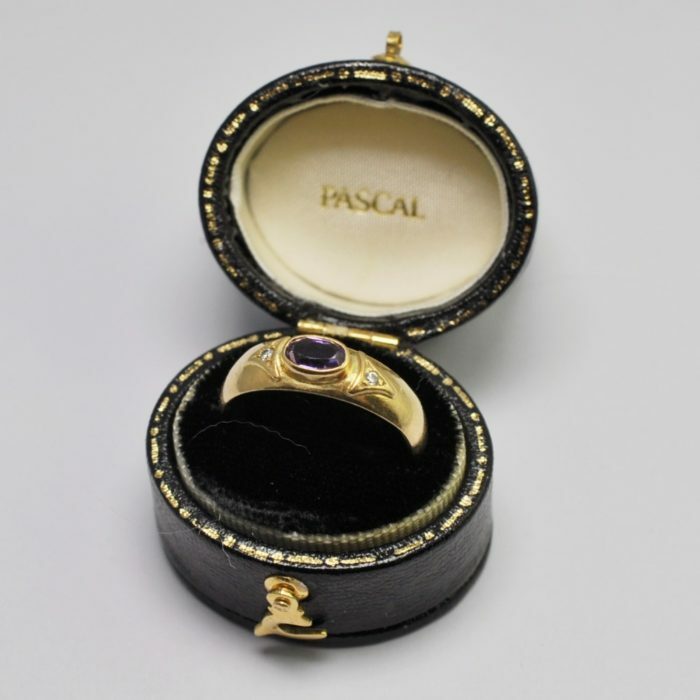 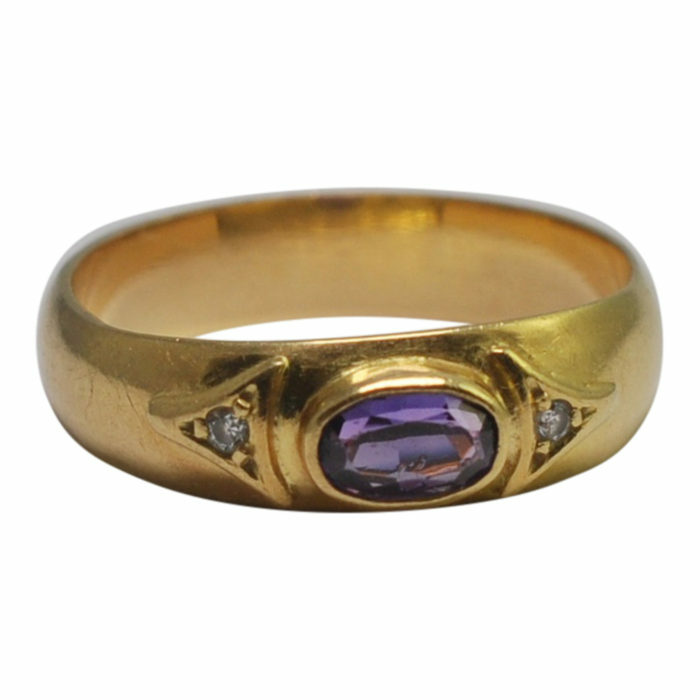 Edwardian amethyst and diamond band ring; this is set with an oval, horizontal, bezel set, amethyst with two small 8-cut diamond accents. 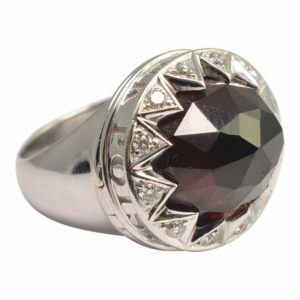 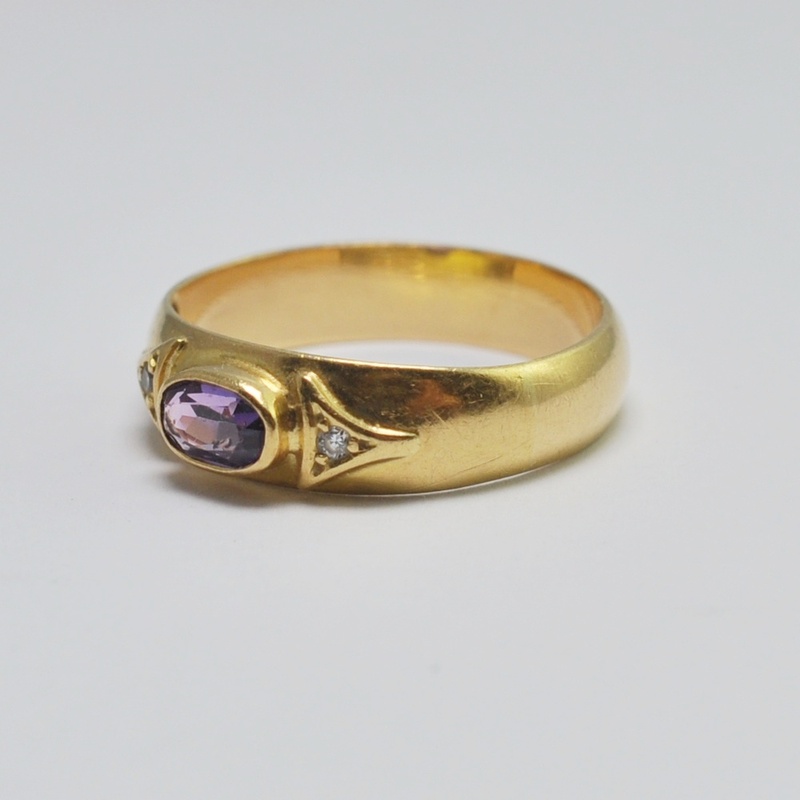 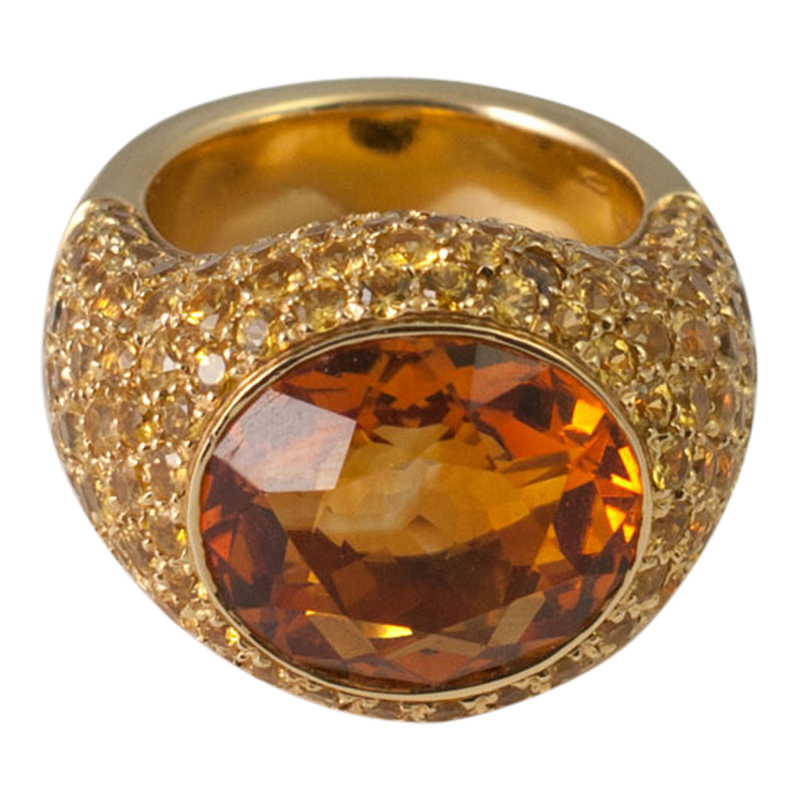 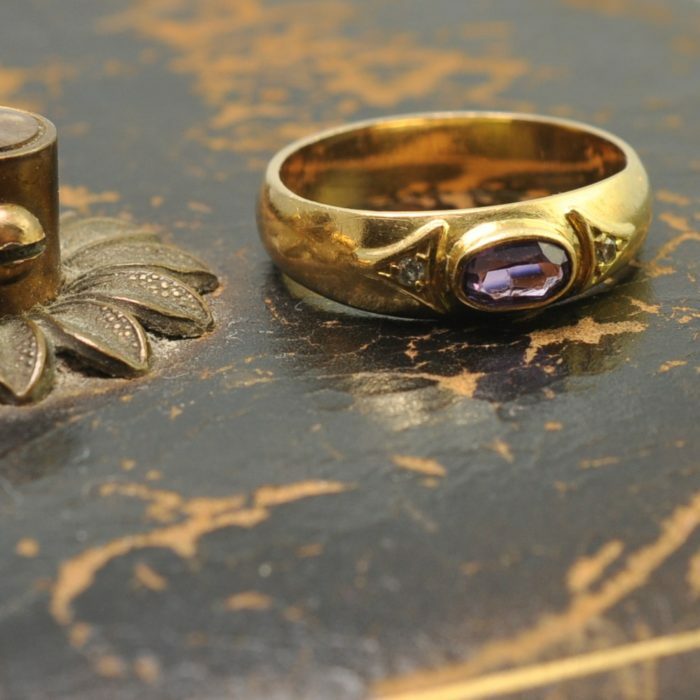 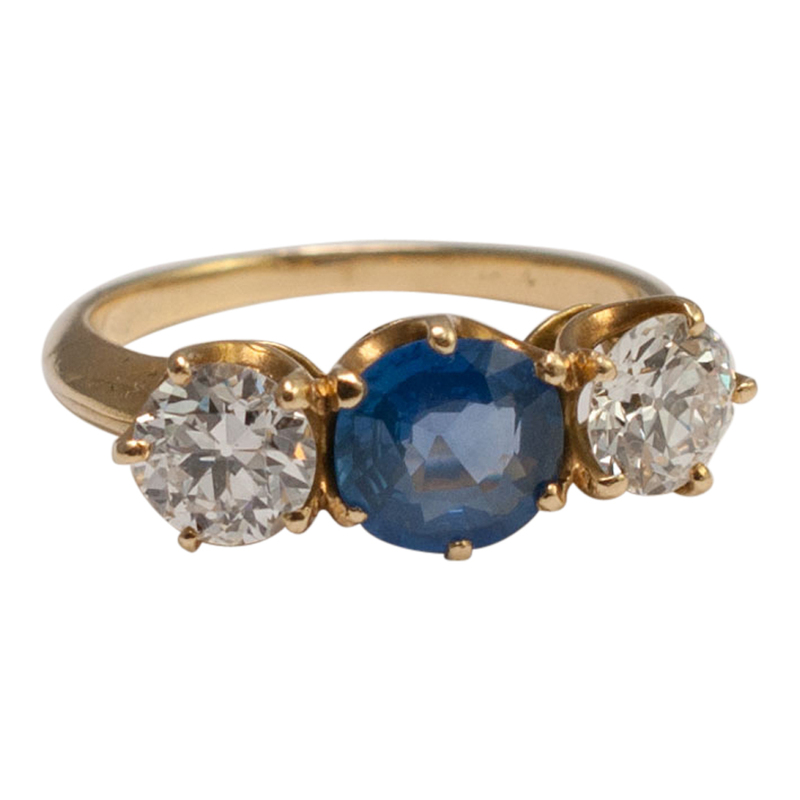 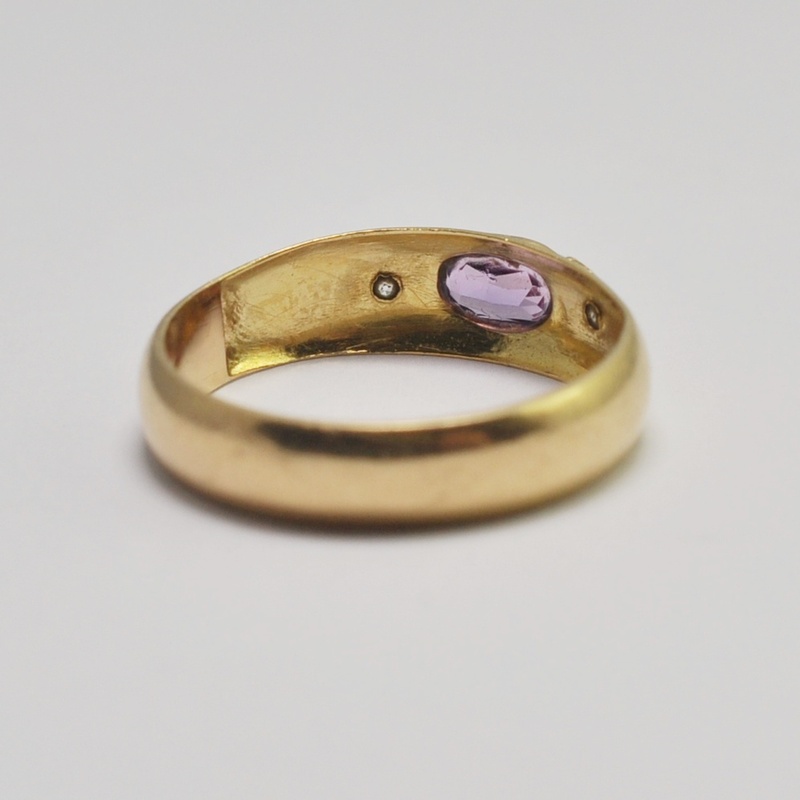 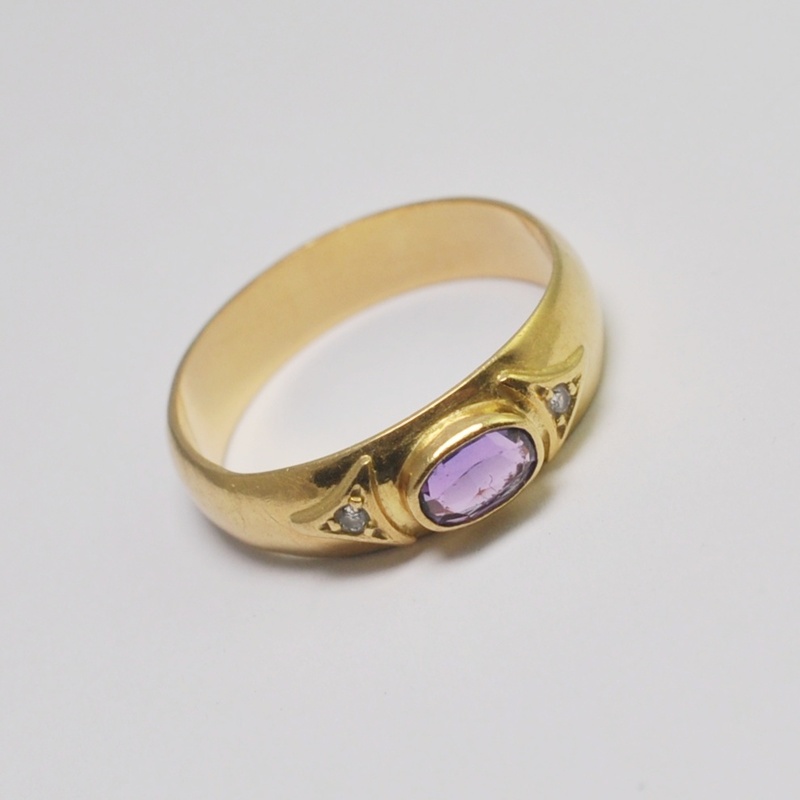 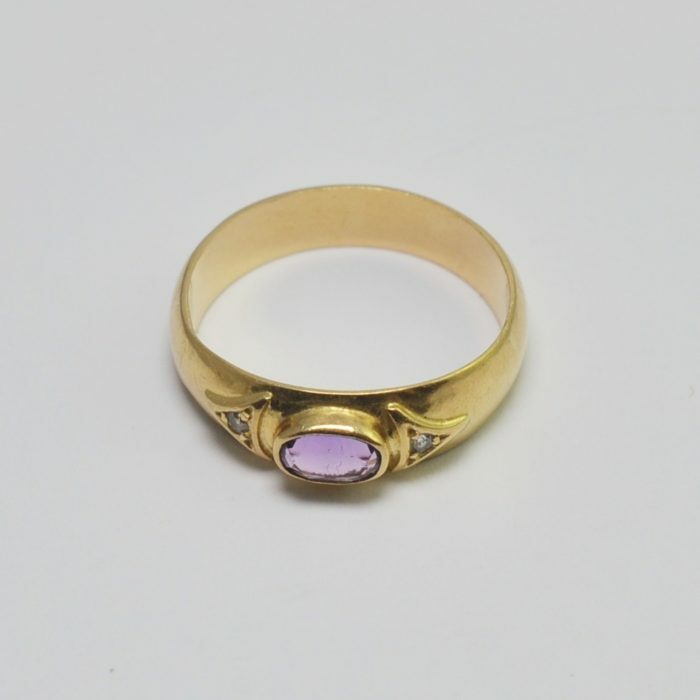 The ring weighs 3.3gms and would make a great antique wedding or stacking ring. It has a wide band and is in excellent vintage condition. 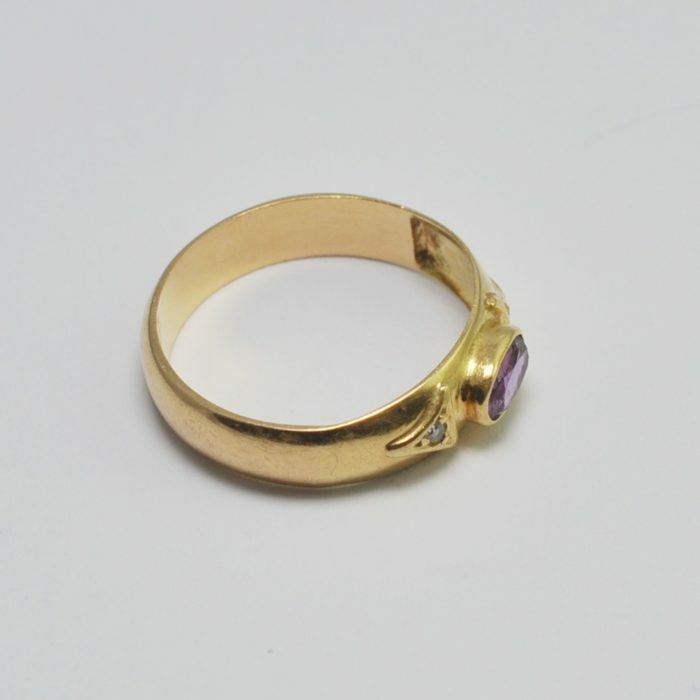 Tested as 18ct gold. Finger size O (UK), 7.25 (US), 56 (French) which we can re-size if required.